Hello, friends, we are here with Dil hai ke manta Nahi movies. 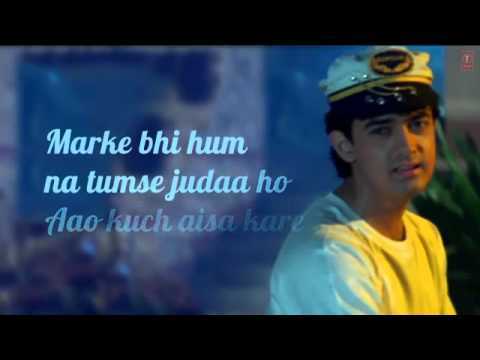 If you are searching for this Movie and you want to know more about DIL HaI KE MANTA NAHI. You should stay here and take a quick look. This movie had released in 1991 and this movie directed by Mahesh Bhatt. If you want to know more about this movie then you should stay here and give a quick look for information. "Tum aaise ullu ke pathe ke sath kaise shadi kar sakti ho? "In buson ka yahi chakar hai ... time par ati hai, time par jati hai"
"For your naughtiness ... I will eat a papad and you will get a jhapad"
I hope you Friends like this post. You can tell us through your comment. We will consider as a feedback. We want to know about our work, we are doing well are not. So please tell us. We are seeking for your comment. So don't forget about the comment. If you want to more then you should visit our home page. We have shared with you lots of things you can take as much as possible. We have shared with you latest and up to date things also.